The striking colours and presentation of Josh Eggleton's vegetarian dish are sure to make it a new go-to favourite. 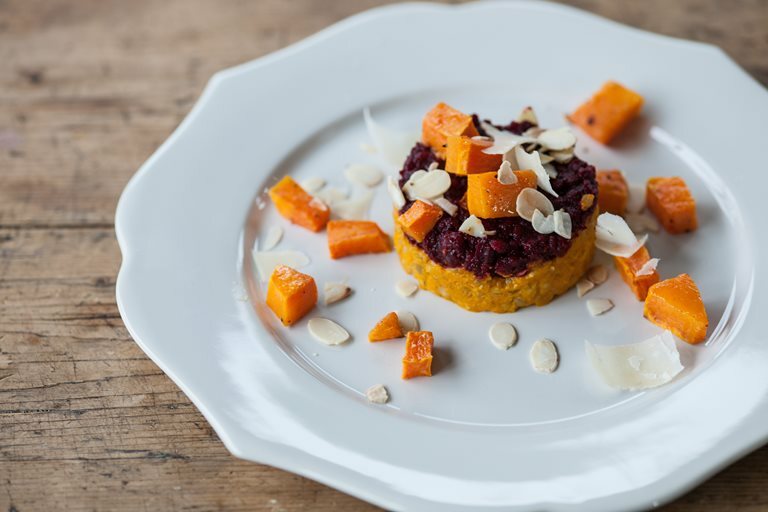 With layers of carrot and beetroot barley risottos, tender roasted butternut squash cubes and crunchy almonds, these flavours are sure to match style with flavour. Swap the Parmesan for a vegetable rennet-based hard cheese if cooking for vegetarians.